Italian project InteGREAT to support the integration of refugees has been named as this year's Charlemagne Youth Prize. The award is given out by the European Parliament and the International Charlemagne Prize Foundation every year to young people aged between 16 and 30 who have been involved with projects helping to promote understanding between people from different European countries. The ceremony took place in Aachen, Germany, on 3 May. 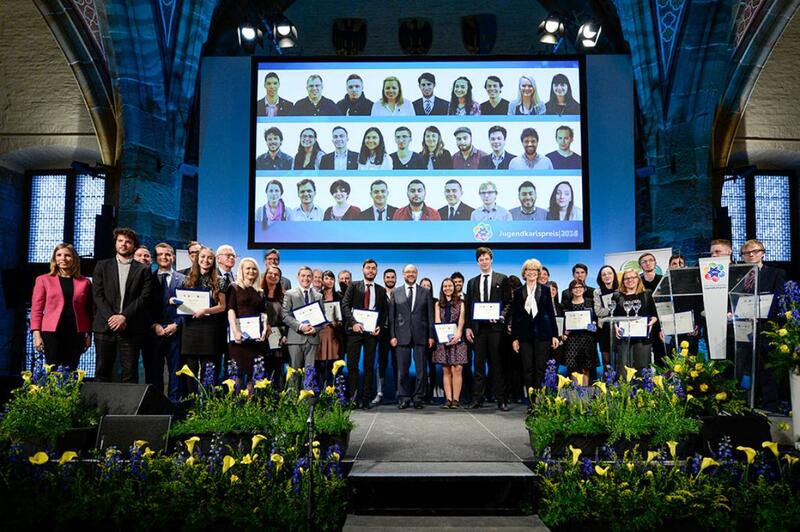 The European Charlemagne Youth Prize aims to encourage the development of European consciousness among young people, as well as their participation in European integration projects. It is awarded every year by the European Parliament and the Foundation of the International Charlemagne Prize of Aachen. Representatives of the 28 national winning projects were invited to the award ceremony on 3 May in Aachen and were awarded a diploma and a medal. The projects that came first, second and third received €5,000, €3,000 and €2,000 respectively. The Young European Council is an international annual conference which brings together young people passionate about the future of the European Union. The aim is to provide input to European policy making. Last year's conference took place on 15-19 November in Brussels and included three panels dedicated to the topics migration and home affairs, energy union and climate action: and education to employment. Follow the prize on Twitter using the @EUYouthPrize hashtag and the event with #ECYP2016.